The Walker House opened in 1873. It was one of the first hotels to install an elevator and electric call buttons. The Walker House opened in 1873. It was one of the first hotels to install an elevator and electric call buttons. 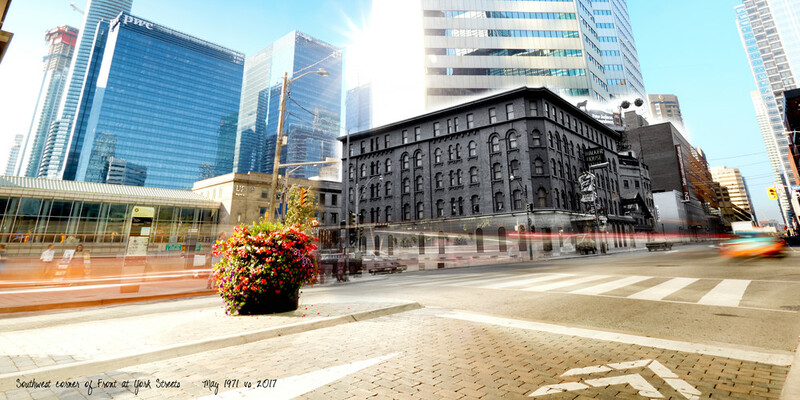 Proximity to the train station, King St and parliamentary buildings at Front and Simcoe, it's location was ideal. The 1970’s saw a boom in development, the Walker House became a casualty. Many other structures near the Financial District faced the same fate. By 1976 it was sold and demolished.